With the New year looming and thoughts turning to the cruising itinerary for 2016 we thought it would be a good time to share just a wee glimpse of the events on offer to those enjoying the waters of Scotland's West Coast in 2016. 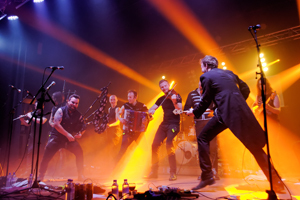 The Mull Music Festival is a weekend of Scottish music featuring folk-rock bands, traditional fiddle & accordion dance and ceilidh bands, and Gaelic singers. It takes place largely in Mull's public houses spread around the island, plenty of variety is offered within Tobermory which has excellent facilities for those arriving by sea. The events aren't ticketed, and most are very crowded! This adventure race is for teams of Sailors and Fell Runners (both adult and teenage) and is held annually on and around the most beautiful parts of the West Coast of Bonny Scotland. The Race starts in Oban with a short hill run, then a sail to Salen on Mull, run over Ben More, sail to Craighouse on Jura, run the Paps, sail to Arran, run Goat Fell, then sail to Troon. The Race takes 3 to 4 Days and caters for Multihulls, Racers and Cruisers. Each team consists of 5 (usually 2 runners and 3 sailors), there is also an all-rounders class for sailors that can run and a class for young people (with the assistance of a few adults). Ever thought of taking part in Scotland’s biggest regatta? It’s not all about the race boats with the black sails and experienced race crews. Many people take part just for craic of it. 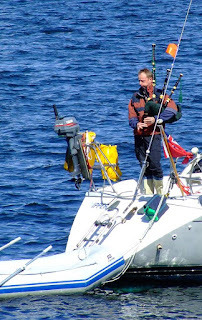 The event in Tarbert Loch Fyne is open to all and for some can just be a great weekend away with you friends relaxing with passage sailing in between the parties. Come and see what you are missing! Over the past few years Fynefest's reputation as one of the most popular beer festivals in Scotland has been spreading far and wide. From small beginnings in the brewery courtyard to a big marquee in one field, camping in another the festival has just got bigger & better. Filled with quality craft beer, locally sourced food and excellent music in beautiful Argyll. All this to enjoy at your leisure over the full weekend based around the Fyne Ales Brewery at the head of Loch Fyne, next to Loch Fyne Oysters. On June 10th the gun will sound on the first ever edition of the St Kilda Challenge, the ultimate Round the Island Race! St Kilda is a remote beacon of the British Isles; a group of islands shrouded in mystery which have fascinated generations. For many yachtsmen and women, these distant isles are a long-held dream, for many it is perhaps something they thought they may never achieve. Now, though, the collective expertise of an event advisory board, consisting of national collaborating partners and relevant maritime organisations like the RNLI and Coastguard, has been assembled to mount a race and event program which can satisfy this desire to adventure to the edge – and back. 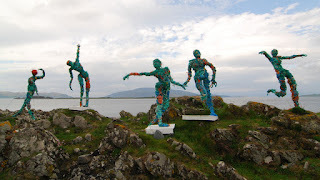 Beginning with the arrival of the fleet on June 9, the program opens with shoreside cultural treats in North Uist’s main settlement of Lochmaddy. Yachts will also be required to register and undergo scrutineering to ensure they meet strict participation criteria. 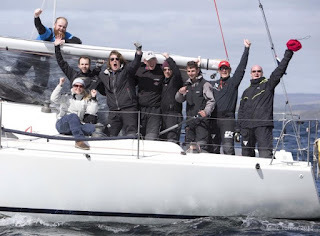 But it is on June 10 when lines will be cast, sails hoisted and crew readied for a parade of sail leading to the race start line in the Sound of Harris. 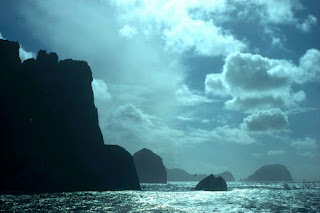 The fleet will journey over a total of more than 100 nautical miles of open sea, famed for its wildness, wildlife and unpredictability with the St Kilda archipelago as its goal. Using the islands as their turning point, the yachts will make a rounding and then return to the finish line in the Sound of Harris. If some crews wish to, they can stop their clock and venture ashore briefly before continuing with the race. By no means lengthy in terms of open water racing, its relatively short distance belies the significant challenges which could be faced by the vessels and crews involved in the June 2016 event. We are proud to support this event as joint headline sponsors with Owen Sails of Benderloch. The Round Mull Race has acquired a loyal following over the last 25 years with many of the boats making up the fleet of approximately 50 boats having made the annual pilgrimage round the island of Mull many times. 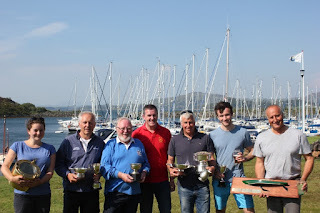 Every year the event stalwarts are joined by boats and crews from all over the UK who have come to experience this unique event; offering great sailing in some of the west coasts most picturesque waters around the coast of Mull. The event see the fleet enjoying the hospitality of Oban Sailing Club on the Thursday evening with the opening buffet. Racing commences on the Friday morning with start line being positioned off Oban Sailing club, the fleet races from Oban to Tobermory on Mull via the Sound of Mull. 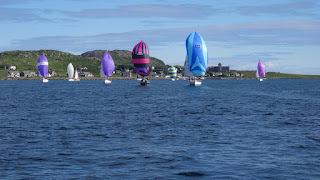 Saturday see the fleet start at the entrance to Tobermory Bay before heading westward to the open waters of Mulls west coast before heading South for the finish line at Bunessan. Spending the night at anchor the local community offer a buffet and ceilidh on the Saturday evening in the village hall, a short walk along the road from the pier. The final leg of the race on the Sunday takes the fleet west again through the Sound of Iona before heading east along the south coast of Mull and toward the finish at Frank Lockwoods Island. Described previously as competitive cruising rather than racing the event offers something for everyone with a white sail class and two handed class. The set list of local, national and international music acts is just one of the huge draws of TMF – come prepared for a true island adventure. Think picture-perfect white sands. World-famous surf. Deserted roads lined with lush greenery and wild flowers. Not forgetting more sunshine than practically anywhere else in the UK. It’s little wonder that the tiny Hebridean island of Tiree is nicknamed the ‘Hawaii of the North’. Add to this three separate campsites – the main campsite, family campsite and campervan area – and the now famous Community Village with its many stalls and events, and TMF guarantees you an authentic flavour of Tiree. Which, in a nutshell, is the whole idea behind the festival. TMF has gained wide spread acclaim since its inception in 2010 since when it has won Best Small Festival at the Scottish Event Awards (2012 & 2013) and Best Cultural Event at both the Highland & Island Tourism Awards (2013) and Scottish Thistle Awards (2013). Evidence, if ever it was needed, that small can indeed be beautiful. The historic and unique sailing regatta is now in its 67th year. 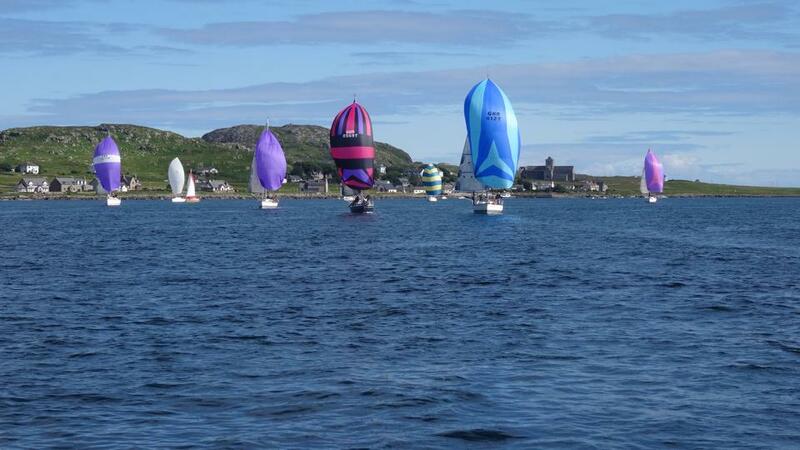 It has evolved into the West Coast's biggest sailing event taking in 3 venues, Craobh, Oban and Tobermory. 1000+ competitors from around the world enjoy national and local media coverage. The event has evolved a distinctive blend of competitive racing combined with a varied and full programme of family social events. 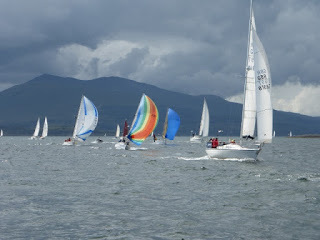 Run by the Clyde Corithian Yacht Club the Shuna race weekend is a fun filled weekend after the Scottish Schools return from the summer break. The weekend starts with feeder races from Oban and Ardfern to Craobh where boats muster for the next days round Shuna race. Unusual in its format the race around Shuna is a pursuit race with a prolonged start sequence seeing the slowest boat setting off first and the fastest last; to add to the fun its entirely the skipper's (or perhaps willful crew) decision which way round the island is circumnavigated. Primarily a visual arts festival in the West Highland community of Craignish, Ardfern, the festival also encompasses a variety of live music nights at our local pub The Galley of Lorne Inn and The Lords of the Isles in Craobh Haven, storytelling sessions, markets, sporting competitions, guided walks and family events, in particular a range of arts workshops and the incredibly popular Pirate Parade. 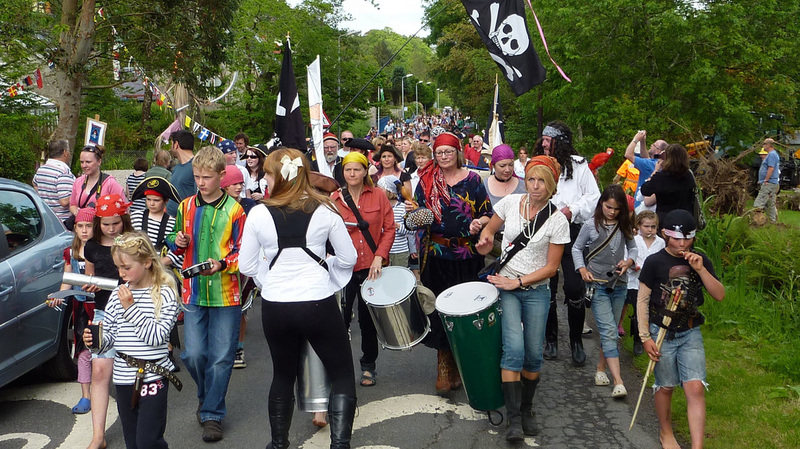 Enjoy the best in traditional and contemporary Celtic music and this popular annual music festival held in the scenic area immortalised in Paul McCartney’s 1977 hit song Mull of Kintyre. Established in 1992 in the west coast town of Campbeltown, the Mull of Kintyre Music Festival showcases the finest talent in Scottish and Irish traditional music with a fantastic programme of concerts, ceilidhs, jam sessions, workshops, free outdoor events. This is accompanied by other exciting events which range from children’s entertainment to heritage and cultural tours and parades. Watch excellent local ceilidh bands, Gaelic choirs, pipe bands, brass bands Highland dancers perform alongside acclaimed international acts which in recent years have included Altan, Davy Spillane, Four men and a Dog, the Tannahill Weavers, Jerry Holland and Dave McIsaac, Dougie McLean, the Micahel McGoldrick Band, the Full Moon Ensemble, Arty McGlynn and Nollaig Cassidy. This family-friendly event is held every August across a range of venues and is a must for all lovers of traditional and contemporary Celtic music. Set in the stunning venue of the ground of Inveraray Castle, this family friendly festival highlights the best in food, drink, crafts, music and entertainments from the West of Scotland. From fine crafts to fine food and from local pipe bands to world famous headline music acts, the programme offers something for everyone, including a range of children's activities, horse riding, archery and survival skills to tire the kids out. The Jura Music Festival is a firm favourite on the festival calendar. It's a fantastic weekend of traditional Scottish Music in a beautiful, remote island setting. As well as a great line-up of musicians, there are also workshops and sessions to encourage up-and-coming talent. 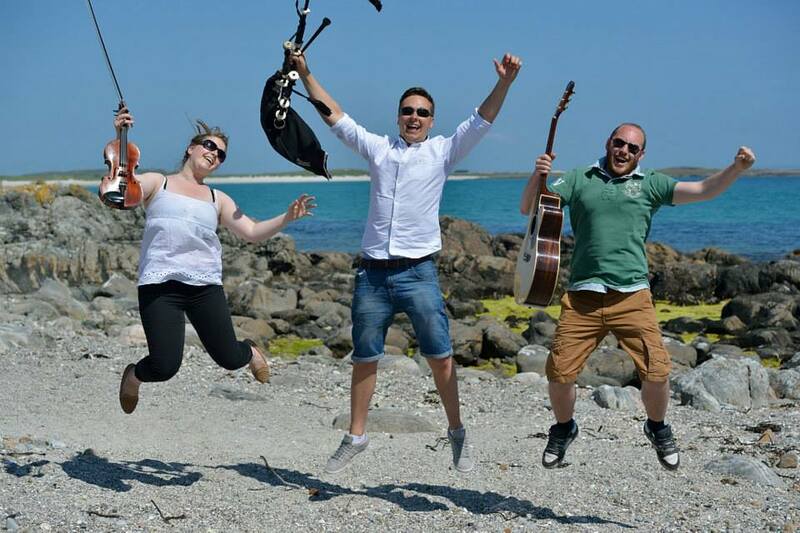 From the Friday night ceilidh right through to the Sunday night concert in the distillery co-operage, this is a foot-stomping weekend for music lovers, easily reachable under sail from Ardfern. These are only a highlight of the many events happening around Scotland's west coast during 2016. If your looking for more information on events to be enjoyed afloat the CYCA 2016 Event Calander is an vital resource, even if its only to avoid being in the same anchorage as a race fleet! Locally the Ardfern community is very active and during the year there are many events going on within the Craignish area open to all, the Craignish Village Hall website and the Craignish Info website have details of events going on within the hall. We look forward to seeing you all in 2016!